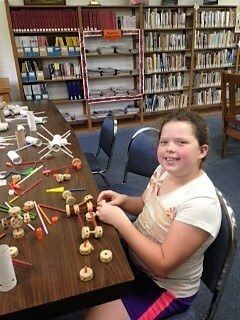 We held a "STEAM"y Friday Building Day all day long July 7, 2017. 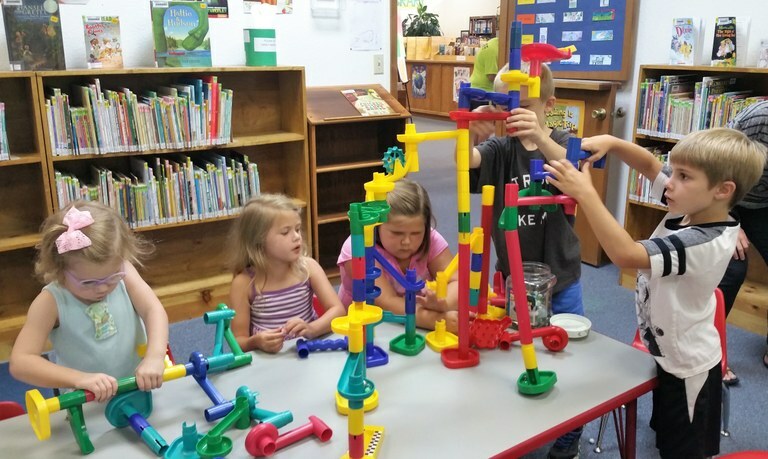 We had building supplies such as Legos, blocks, tinker toys, and more! 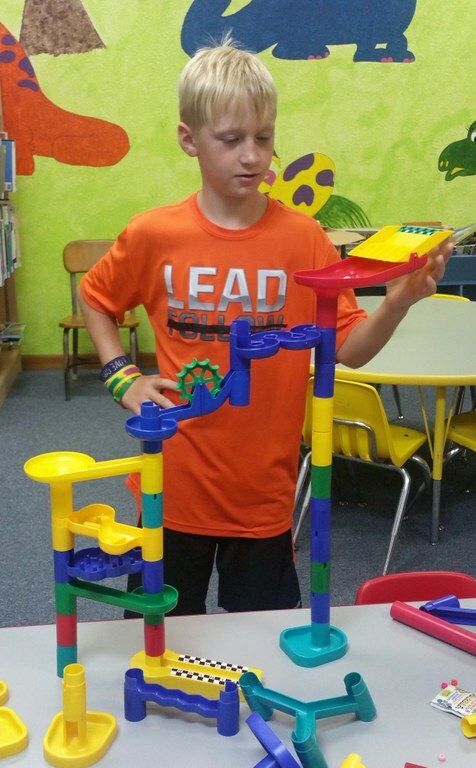 The marble run was definitely the main attraction at Building Day! 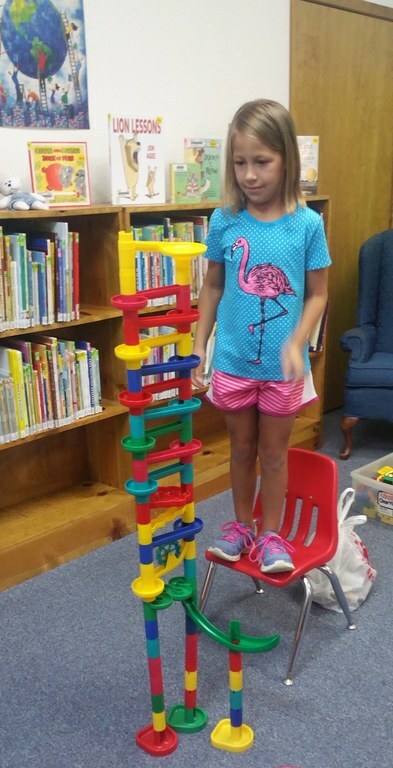 A visitor shows off her record setting marble run. Time to let the marbles roll! Sometimes classic building materials are the best. Buildings were even towering above our heads! Thank you for taking the time to plan out the activities and allowing us to come and have fun! We cherish the memories and quality time we got to spend together while using our imaginations! Morgan said over and over "Great things just keep on happening here at the library!"